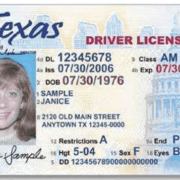 The Texas DPS is strongly urging citizens to avoid the long lines at the DMV and registering to renew their license online. DPS Director Steven McCraw says many Texans can opt into renewing their IDs online instead of in person. The only eligibility requirements include US citizenship and ID expiration within one year. The DPS has also implemented “mega centers” in Austin, DFW, Houston, and San Antonio, which allows you to reserve a spot in line at the DPS center before going in. To read the full story, check out the NBCDFW website.